INGREDIENTS: Durum wheat flour, eggs 20%, porcino mushrooms ( Boletus edulis and related group ) 2,5%, flavor, water. Contains: gluten and eggs. May contain traces of soy and shellfish. USEFULL INFORMATIONS: Cook in boiling salted water for 3 minutes. Drain and season with extra virgin olive oil and Reggiano Parmesan cheese to your liking. 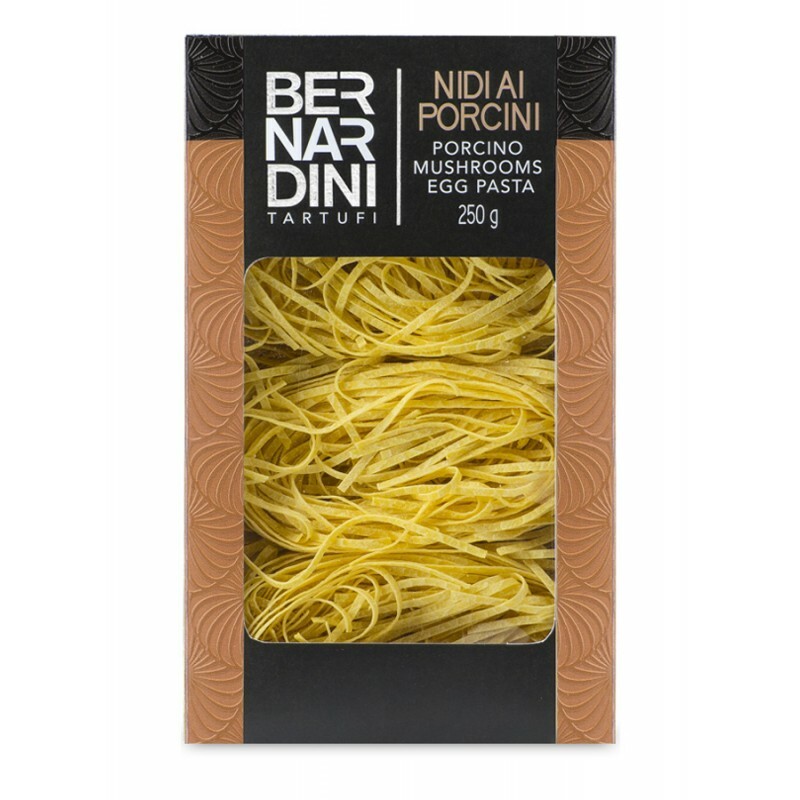 For a tasty and appetizing recipe, flavor the Egg pasta with porcini mushrooms with the Dry porcino mushrooms of Bernardini Tartufi. TASTE: The porcino mushrooms flavor makes this pasta extremely pleasant and inviting.